Just days after Offshore Patrol Vessel designer Lürssen announced months of negotiations with Austal failed to produce an arrangement to include the West Australian company in the project, opposition spokesperson for defence Richard Marles has accused the government of botching the entire project. A report from the Australian National Audit Office (ANAO) this week warned that multiple risks have been brought into the OPV project after the government brought the project forward. The national auditor found the sustainment costs, which Defence's own 2016 Interim Capability Lifecycle Manual identifies as a "key driver in the acquisition process and therefore must be considered in the earliest planning stages", have not been taken into account. "Defence provided rough-order-of-magnitude sustainment cost estimates to the government at second gate approval. At the time, Defence advised the government it ‘does not have a sustainment plan of sufficient fidelity to seek approval for sustainment costs'," the report said. "Consequently, selection of the Offshore Patrol Vessel was not based on reliable whole-of-life cost estimates. Defence advised the government it would develop support system specifications and conduct a tender for sustainment of the vessel in the second quarter of 2018. Defence undertook to return to the government in the final quarter of 2018 to present proposed sustainment costs for approval. "The progress of the Offshore Patrol Vessel program through second gate approval on the basis of rough-order-of-magnitude sustainment costs is contrary to the findings and recommendations of numerous external reviews and audits undertaken in Defence over the past two decades." The ANAO slammed the decision to not properly take into account sustainment costs, referring to Australia's history of Defence acquisitions. "The history of Defence acquisitions in Australia demonstrates that inadequate sustainment cost estimates at project approval have led to cost implications once the platform is in service. By the time the government is provided with reliable sustainment cost estimates for the Offshore Patrol Vessel, the first vessel will be under construction, with no option to consider alternative platforms if the sustainment costs of the vessels are above expectations." Marles said the government has now started a project without proper costing and extended the so-called valley of death. "You couldn’t have run the Offshore Patrol Vessel tender worse if you’ve tried," Marles told Defence Connect. "The government sent the supply vessels to be built overseas without thinking about what that meant for the local workforce; panicked when they realised they’d opened a valley of death; then tried to changed their mind at the last minute. In the end, they’ve left the valley of death open and picked an OPV option without knowing what it will cost. "No amount of press releases and announcements can hide the fact the minister has botched this from start to finish." This is not the first time the Labor member has criticised the government over the OPV project. Last month, the Corio MP said the exclusion of Austal in a design capacity on the SEA 1180 OPV project had hindered the development of an Australian naval export industry. 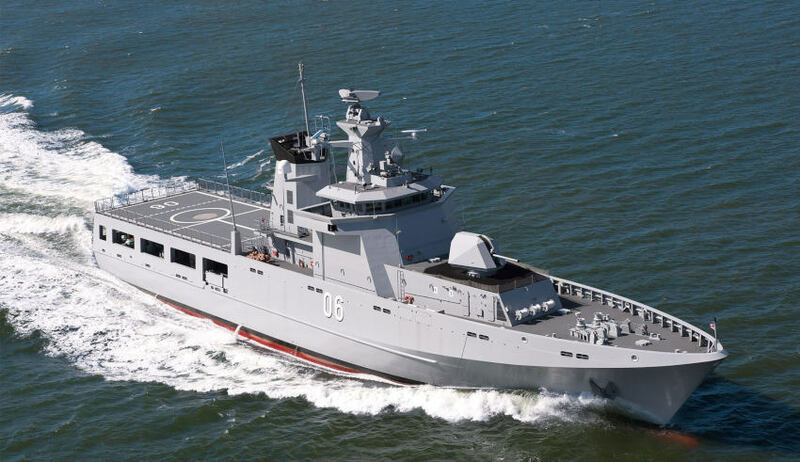 Austal, which was in a joint bid with Fassmer and would have seen a large bulk of the design capability done in Australia, was in negotiations with winning designer Lürssen to be included in the build of the vessels, as per the government's request, for several months until last week. The shadow defence minister argued that the Australian shipbuilder, which has designed and built ships for Australia, Egypt, Oman and the US, is one victim of the government failing to incorporate Australia's defence industry in tender arrangements for future projects. "For all its abilities and deficiencies the design house at Austal in Henderson is the only significant naval design house in Australia," Marles said. "The failure of the government to develop a proper rationale for an Australian defence industry and its corresponding inability to bring the defence community along with it can be seen in the recent decision about the building of the Navy’s next generation of Offshore Patrol Vessels." Marles said that while developing an export based defence industry must be the long-term goal if the industry is to survive, Australia's existing capabilities should have been leveraged in the OPV project, as well as the Future Frigates. "The best opportunity to do this is by leveraging the domestic capability which is developed through the building of equipment for the ADF," said Marles. "Making sure we get the key procurement decisions right, from the perspective of the Australian defence industry, is therefore essential if we are to develop that industry. But this is unlikely to happen if the development of our national defence industry is not a clear goal in the procurement process." The OPV project is widely regarded as the upcoming naval project most likely to deliver potential export success. Kim Gillis, the deputy secretary of CASG, recently said during Senate estimates "that class of vessel is very in-demand from a range of navies around the world, and the export of those size vessels is far more likely than much larger combatant vessels". Marles said that the decision has failed to provide Australian industry with an export-based business, given the design of naval vessels "is where the intellectual property of the vessel exists" and "is where true ownership of the ship lives." "I am not in a position and certainly do not have the expertise to assess which bid provided the better option for the navy. I can only assume, given the government’s decision, that the answer to this question is that the Lürssen design was the better boat," he said. "But the consequence of this decision is that there will be no Australian, or even part Australian, design of the next OPV, which could have been the foundation for the development of an Australian vessel which could be sold to the world. If we assume that Lürssen did design the better boat, then in the making of this decision Navy capability trumped the development of Australian defence industry capability."